RGB RGB everywhere. What is not covered in RGB these days. With RGB being the hottest trending way of PC modding, we look at a PC Build that can be LIT and also not dig a very deep hole in your pocket. With a budget of 75,000 INR (USD $1088) and an RGB theme in mind, we set out to find the best RGB for the buck. With some research, browsing and blah blah, we settled on an AMD Build. Also, we have provided Intel’s alternative for the same in the description (in case if there’s an intel fanboy among you guys). With that aside, let me shed some “Light” on the parts. Also, Read: How to Build a Budget Gaming PC under ₹25,000? 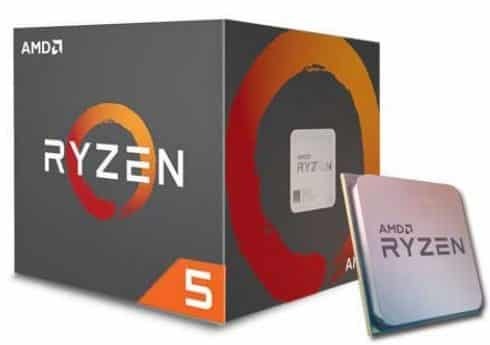 As already mentioned, we’d to go with an AMD build, we have chosen AMD Ryzen 5 1600 to be the heart of our PC. Before you guys throw stones at me saying where’s 2600? I’m gonna say “hold on” because the performance difference is as low as 10-20% for the hardware we’re gonna use. And also budget issues constrain us to hold it back. 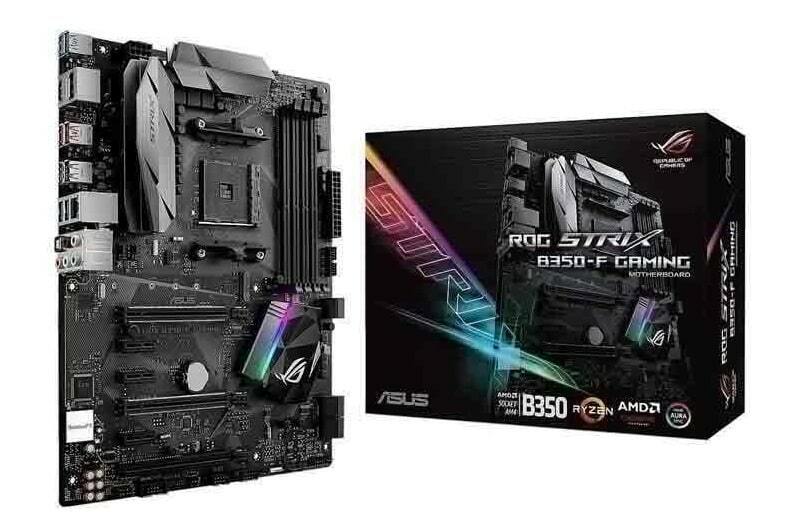 Since the idea is to be as “LIT AF” as possible, we chose to go with a decently priced RGB Motherboard which is an ASUS Strix B350-F Motherboard. We could have also chosen the Gigabyte GA-AX370 series but that would be devoid of our RGB theme, hence we stuck to the Strix. The board has enough slots for you to slap some dank RGB RAM sticks and also features decent RGB lighting zones for you to show off. If it’s an RGB build and there’s no G.Skill TridentZ RGB RAM, then why are you even calling it RGB my friend. Great price, great speeds and also gorgeous looking RGB lighting, which makes this RAM an obvious and easiest choice of all other parts. The Aura Sync software makes it easier to sync the mobo with the RAM so you can have great synchronized lighting effects. I don’t know why I even have to talk about storage. Please go with a 1TB or a 2TB or a 1TB with 120GB SSD (preferably WD Green or Kingston A400) for mass storage purpose. No there’s no RGB here, please move on to the next part. So, no RGB here as well but it doesn’t mean there are no RGB choices for the GPU we chose. We decided to with a Zotac GTX 1060 3GB which is a great GPU for the buck but has no RGB as mentioned earlier. And of course, the difference between a 3GB vs 6GB variants is not so significant unless the user has intentions of Live Streaming or Recording Gameplay. The Nvidia GTX 1060 6GB Founder’s Edition is also quite cheap compared to other aftermarket cards. Hence if you got a little extra cash, you could enjoy additional 3GB of VRAM. This is a tricky one, cos there are RGB choices for the power supply and also I don’t really see the point of having an RGB PSU when the fan is upside down in Cabinet. Hence an obvious choice of 550W from Coolermaster MWE 550. The chosen PSU is capable enough to drive even a GTX 1070 with the same processor. And also Coolermaster’s reliability over Corsair’s VS series for the same price makes this a go-to PSU. 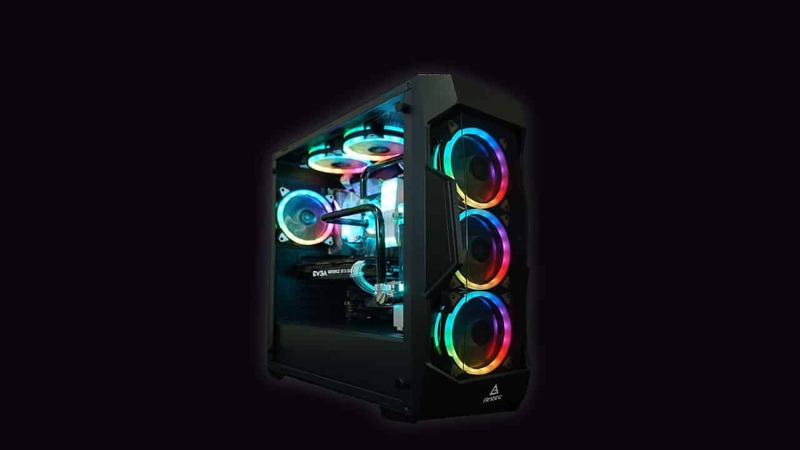 Cooler master MasterBox Lite 5 RGB: Don’t freak out just cos I chose this, the newer model has a Top Ventilation for 2 additional fans/radiator if the user wants to “Chill Out”. It also features 3 RGB fans factory provided and a non-RGB fan at the back. The case looks great and is compatible with Aura Sync. Antec DF-500 RGB: This case is similar to Lite 5, features 3 RGB fans at the front for airflow. 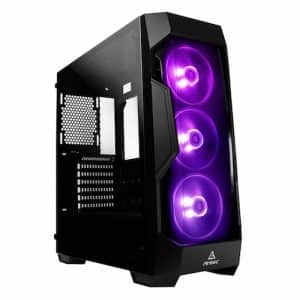 The case has top ventilation for additional fans/radiator support same as previous and also features a transparent side panel for showing off cool lighting effects. Cooler master MasterBox MB 500: Great case with 2 RGB fans in the front and one at the back for airflow. Just like the previous two cases, this one also features Top Ventilation for max airflow and also features a Tempered glass side panel to show off the muscles of your PC with sick Lighting synchronized with Aura Sync. What sets this case apart from the previous two cases is that it has a Mesh in the front for air intake resulting in better temperatures and efficient cooling. Well, those were our top picks but since we’re on a budget we chose to side with Antec DF-500RGB. To add more lighting to your build, one could go with an RGB CPU Cooler such as Cooler Master MasterAir MA620P or Jonsbo CR-201. I wouldn’t recommend adding a Liquid Cooler for this particular build but hey if you got deep pockets do check out Cooler Master ML120L. To summarise, the following are the parts we chose for our build, along with prices and links. PS: Not sponsored by MDComputers!! So, these parts bring us close to 71,300 INR which gives us enough headroom for an RGB Cooler if needed as I’ve already mentioned. If we’re to talk about performance, well I’m gonna save it for another article if the response is Lit. Feel free to suggest any changes or comment down below if you seek recommendations for a PC Build. See you guys in the next one!! Furthermore, will the system be furureproof for upcoming 4-5 years ??? This build is for the looks. TBH, one could build a more powerful rig in the same buget if the person can just drop RGB products. RGB is cool, but not so cool when you’re on a strict budget. isn’t the smps a little cheap? ?I mean I lost my custom pc because of cheap psu which destroyed by gpu and ram.What would you suggest? Hey i understand your concern, so before i suggested the PSU i actaully check the wattage of the build in pcpartpicker. And I usually select the PSU which has double the wattage than PC’s total power consumption. This PSU is sufficient to run a 1070 but hey if you feel you could spend a little extra for a better PSU do go for it cos i agree with you, never cheap out on PSU. Thanks! If I buy founder edition Nvidia card will it show any difference than the aftermarket one cause this case has 3 fans and may be I could attach 2 more . Hey there! If you are on a tight budget and also you don’t intend to overclock but also want a 6GB card, do go for a Founder’s Edition. Yes you could install two additional fans in the case which could give noticeable difference. The difference between Founder’s Edition card and aftermarket cards is that aftermarket cards feature better cooling solutions and better overclocking support. The Founder’s Edition card is like not too bad nor too good lies somewhere in between. The ASUS Strix Card and Gigabyte Card you’ve asked about are top of the line 1060 GPU’s from respective brands featuring better cooling solution for overclocking and temps! The only difference would be the make and look, performance wise there wouldn’t be much difference because basically both are 1060 cards.Some higher versions do feature 3 fans, but then again the performance difference is quite Ok-ish! Hope you have a better understanding now! Idk why people can be so stupid , you’re spending 75k for just an 1060 3gb variant , why! You can build a pc with 1060 6gb in even less than 60k with a descent case and can still put RGB’s in it . Hey man, I have actually mentioned that the total cost comes upto 71.3k which means there’s room for 6GB variant as well. That is why I’ve mentioned about a founder’s edition 1060 6GB card and still be under 75k. Like I said it’s a RGB build not a Red or Blue themed build which means proper RGB components which can have synchronised lighting with Aura Sync. Hence the choice, and hey nobody is forcing you to buy the same components ? Your money , your pc! I only suggest THE BEST RGB for the buck as mentioned in the introduction ✌️ and FYI it’s spelled “decent”. I don’t know if you’ve noticed but RX480 or RX580 cost much higher than a 1060 does and that would basically make the title of article irrelevant but yes RGB options are there. Ah yes, the cryptomining craze have led to sellers price gouging us customers. My bad. Yes!! although prices are coming down! Better go with 8x2gb ram instead of 1 16gb kit. Dual channel Ram is more better and the price is also almost the same. Hi, yes it is a 8*2 kit! Thanks for the acknowledgement I forgot to mention it though! Hey, thanks for the suggestion mate. Yes a 6GB card can be easily added. I also mentioned that the performance difference isn’t that great to switch to a 6GB Card unless you intend to stream and record gameplay at high resolutions and settings where in that case the additional 3GB is fruitful✌️ my alternative was to have a good cpu cooler to maintain decent temps and better overclocking and also have some RGB as well while doing so ✌️ hence 3GB! Hi, I’m planning to write a PC build article every month!! Keep an eye out for the next one!